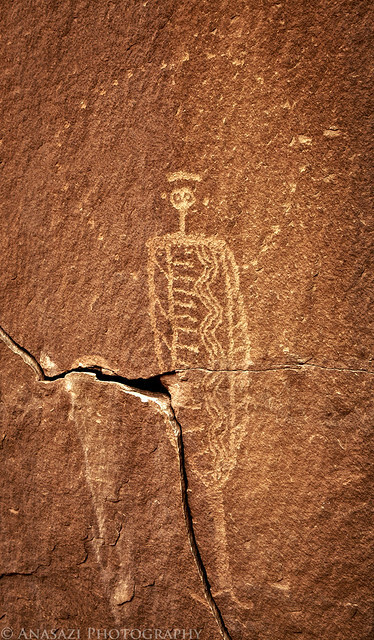 Here’s a small Barrier Canyon Style petroglyph found near Moab in an area containing many newer Ute petroglyphs and pictographs that I visited on Saturday. The decorations on the torso are very interesting and so is the dotted circle around the top portion of this figure. It also appears to have one leg extending down from the torso.